S&P Global Ratings forecasts that growth in Ukraine is set to accelerate further to 3.1% in 2018, and through to 2021, the agency expects average real GDP growth of about 2.9%, S&P said in a report affirming the country's ratings issued on April 20. In the previous report dated November 10, 2017, S&P expected that GDP this year would grow by 2.6% with the acceleration to 3% and 3.2% in 2019 and 2020 respectively. S&P said that economic recovery continues to be driven by strengthening domestic demand, high commodity prices, and the economy's ability to quickly adapt to the Donbas trade blockade. Growth drivers in the Ukrainian economy will remain broadly unchanged, with domestic demand as the main contributor. Notwithstanding macroeconomic improvements, Ukrainian per capita wealth levels remain low. "Despite two consecutive years of growth, per capita GDP ($2,600 in 2017) is still only at 67% of its pre-crisis wealth levels in 2013 and the second-lowest in Europe and the Commonwealth of Independent States after Tajikistan," S&P said. According to S&P, low income levels also explain high levels of net emigration. Over one million Ukrainians worked in Poland last year, with several hundreds of thousands in other neighboring countries. "There are reports that this has caused shortages of qualified labor in western Ukraine, for instance, where a successful automotive industry cluster has been established over the past few years," S&P said. S&P also reviewed expectations for the hryvhia exchange rate for year-end: from UAH 27.3/$1 to UAH 29.5/$1. 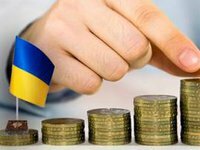 In addition, if earlier the agency expected that at the end of 2019 and 2020 the hryvnia exchange rate would remain stable at UAH 27.5/$1, now it expects that it would weaken by the end of next year to UAH 30.5/$1 with further strengthening to UAH 29.8/$1 by the end of 2020 and UAH 28.8/$1 by the end of 2021. "Over our 2018-2021 forecast horizon, we still expect slightly higher current account deficits averaging 2.7% of GDP. Strong import demand--due to the domestically driven economy, volatile commodity prices, and risks to external trade from rising protectionism--could underpin these higher deficits," S&P said. As for inflation, the agency slightly worsened it for 2018 – from 8.7% to 8.9%, and improved for 2019 and 2020 – from 8% and 7.5% to 7.5% and 7% respectively. "Given our forecast of continued deprecation pressures on the Ukrainian hryvnia, which pushes up import prices and inflationary pressures, especially from food prices, we forecast that inflationary pressures will persist over the medium term, though inflation will move closer to the NBU's target of 6% plus/minus 2% in 2018," the S&P analysts said. S&P pointed out efforts of the NBU to curb inflation: the NBU continues to fight inflation, with four successive key policy rate hikes to 17% over the past six months. Ukrainian exporters frequently hit export quotas early in the year. Moreover, meat exports, especially poultry, to the EU have an inflationary impact complicating the NBU's task of reducing price inflation within its target band, S&P said.